Last month I placed an order for some clearance items at the J. Crew Factory. Little did I know that each item would come in its own separate package, on its own separate day. It looked like I ordered a lot more than I did when package after package arrived at our doorstep. 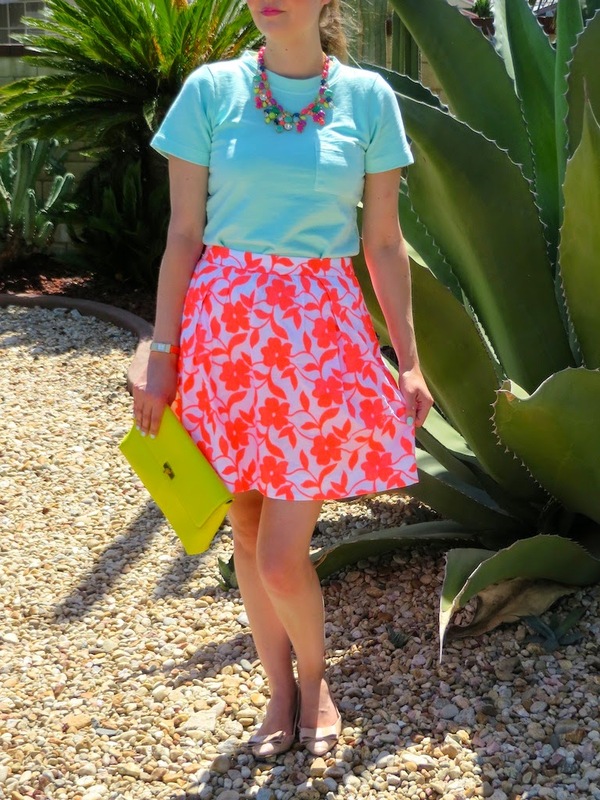 Among the storm of packages was this sweatshirt in a minty color and this embroidered floral skirt. Although they may have arrived separately, I thought these two pieces looked great together, with just a little extra neon bling from my J. Crew color mix necklace from last summer. If you look closely you will notice that even my finger nails are in on the mint action. This mint color "Mint Candy Apple " from Essie is one of my favorite colors to use for summer. Anyway, to put it briefly, it was quite the neon and mint mash-up! These photos were actually outside our polling location for yesterday's Californian primary election. (I'm always on the look out for a pretty place for pictures!) The cactus was plentiful, but the cookies were not. You see, they always provide fresh homemade chocolate chip cookies where we vote, but this year there were none, so that was a major bummer! 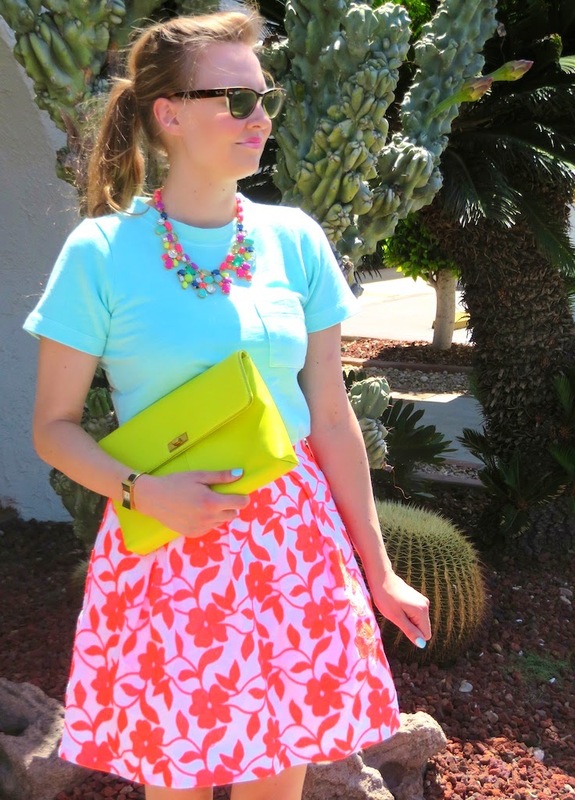 Luckily the bright colors in my skirt brightened my mood.